The tape measure in the picture is in inches. 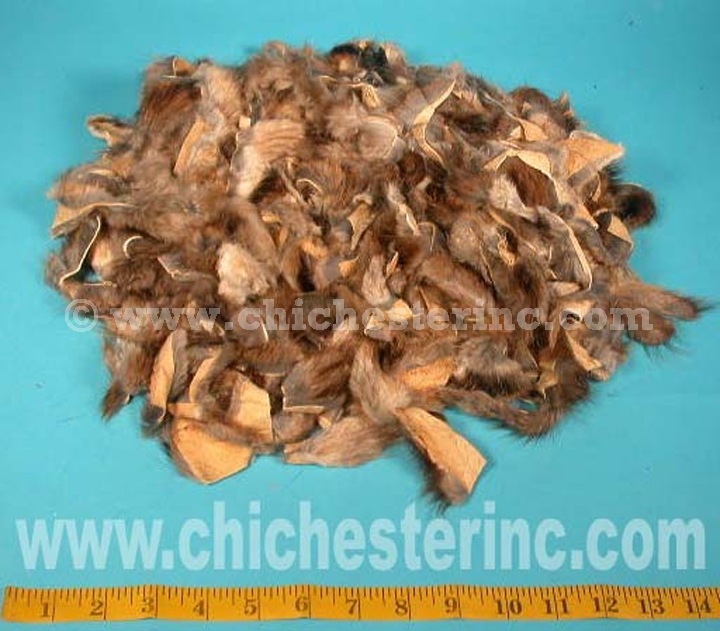 The picture above is one pound (0.453 kg) of muskrat scrap. Because this is scrap, the sizes and coloring varies for each piece. The scrap comes in various shades of natural brown (i.e., not dyed).We cannot guarantee matching colors or sizes throughout an order. Genus and species: Ondatra zibethicus. Wild. Muskrat are not an endangered species. Click HERE for our listing of Scrap Fur. Click HERE for Muskrat skins.